Thousands of herbs have medicinal purposes, many of which are used in conventional medicine and natural remedies. Some herbs can be used specifically for your thyroid, such as seaweed which supplies iodine. Over 200 studies have confirmed the adaptogenic herb Ashwaganda’s ability to heal adrenal fatigue and improve thyroid function. Herbs consist of hundreds of naturally occurring chemicals that work together to heal your body. Pharmaceuticals, on the other hand, are a copy of one chemical component that’s been synthesized to imitate the health benefits of an herb. Herbs have fewer side effects because they are generally not as potent and have a balance of natural ingredients. Chinese herbs offer consistent and reliable benefits in treating hypothyroidism. 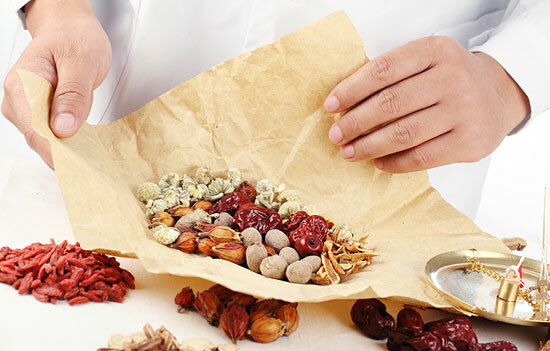 Since each person is different, the Chinese herbal prescription is made up of several single herbs that are customized to treat your individual needs. In my practice, I have about 250 herbs to draw from to treat my thyroid patients. Because herbal remedies are prescribed based on identifying your pattern of imbalance it is important to have a number of different herb choices. However, herbs can have side effects, so they should never be self-prescribed. It is important to have an experienced professional prescribe a customized formula. Herbs can be boiled and decocted, taken in capsules, softgels, and tablets; through specially formulated herbal teas; and in a liquid herbal extract. The best method for you depends on what herbs you need and what form will help most to address your issues. The more a herb is ground or reduced in size, the more quickly it loses it potency. Whole herbs tend to stay active longer, and liquid herbal extracts have the longest “shelf life.” A powdered herb or tea bags are generally potent up to six months, capsules can last up to 12 months, but liquid extracts last between 5 to 7 years. I find that powdered granules work best for my patients. Ginseng is great for fighting stress and boosting your immune system. Ashwaganda is powerful for balancing your hormones. Astragalus naturally supports your thyroid function. Bladderwrack, Kun Bu, and Hai Zao, all varieties of seaweed, provide iodine that boosts a poorly functioning thyroids. 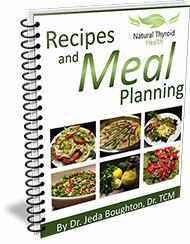 Blue flag works to detoxify your thyroid. Bupleurum (Chai Hu) is used to support your liver and stimulate your adrenal glands. Eleuthero and Gymnema boost your immune system and fight chronic fatigue. Dan Shen stimulates hormone release in your thyroid. The great thing about using herbal treatments is that they can be prescribed to address your specific symptoms. Therefore, you don’t get into a vicious cycle of taking one medication to mask the problems caused by another. On the contrary, herbs are used to strengthen your body and the goal is to eventually eliminate the herbal support. However, always use caution with herbal remedies and consult a professional to avoid side effects.